How are social intrapreneurs bringing change to organizations? Prototyping the future of business and inspiring others to do the same is our mission at Impact Hub Zürich. To achieve this mission on larger scale, we have intensified our work with organizations beyond startups since 2015. In addition to supporting entrepreneurs to disrupt the status quo with their new business ideas, we also started to support their corporate counterparts, the so-called Intrapreneurs. They are the people who drive change within organizations bottom-up and become the new leaders in the digital world. UBS Y, the think tank of UBS, is one of the large Swiss companies working with and supporting Intrapreneurs. They have identified Social Intrapreneurs within UBS and asked them about their obstacles and what they need to drive change for a recent studies. 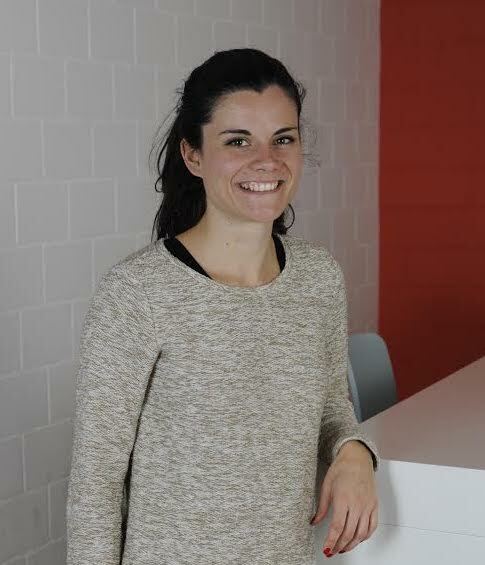 We had the pleasure to interview Anna De Mezzo (photo on the right), the lead designer of UBS Y, about the study and drill down to the opportunities and challenges that Intrapreneurs face. What is the main purpose and background of the study? This study was initiated after UBS Y attended an inspiring talk by Joanna Hafenmayer (Managing Director of My Impact) on the topic of Social Intrapreneurship. UBS Y fully understood the value Social Intrapreneurs can bring to the organization they work in. We asked ourselves what was the situation of Social Intrapreneurship within UBS and how the bank could create an environment which could recognize, foster and support Social Intrapreneurs and leveraging their valuable inputs. The Think Tank is researching on various aspects of society; among others, we focused on the topic of the research of meaningful jobs, the quest for purpose people have nowadays. We soon realized that Social Intrapreneurship fits perfectly into this discussion and started to collect information first on the general topic and then on the situation within the bank. We also want to spread the word around the importance of this concept and the benefit it brings to businesses. What are the top 3 obstacles Social Intrapreneurs face at UBS? We found the main obstacles Social Intrapreneurs are facing at UBS are related to the environment within the bank. Risk aversion – very typical in the financial industry – stands out as one of the most common obstacles faced by Social Intrapreneurs, alongside with a general lack of understanding of the role which is very much related to the risk averse culture of the bank. Another key obstacle was identified in the lack of flexibility which very often slowed down processes and hindered the smooth progression of projects. Those ideas being quite different from the normal business projects/ideas of the bank, they needed to be addressed in a different way than the regular projects for which the bank has streamlined processes. Yet, building something which requires a different treatment – not part of the standard processes – can be quite difficult since it implies the willingness to step outside the corporate and comfort zone. Moreover, a general lack of recognition and limited resources were also often named by the Intrapreneurs during the study. How could these obstacles be solved? What do SociaI Intrapreneurs concretely ask for? Generally, addressing Social Intrapreneurship projects with an openness to risk, agreeing to ensure more flexible processes, fostering and supporting the creation of a network of intrapreneurs are among the main important solutions that UBS could opt for to leverage Social Intrapreneurship. Many Intrapreneurs are asking for a deeper support, both externally and internally. One of the participants in the study stated that meeting people outside the organization is extremely important since it can lead to new opportunities and collaborations for the bank; to do so, however, leaner processes and more flexibility is needed, especially in terms of content sharing and possibility of co-creation with externals. Ideally, who are the key supporters for Social Intrapreneurs and what can they do? Everyone can be supporting Social Intrapreneurs and Intrapreneurs, both inside and outside the company, at different levels. The most basic one is spreading awareness, sharing thoughts and sensitize colleagues on the importance of Social Intrapreneurs in organizations. Internally, managers have the opportunity to leverage the ideas of their employees and motivate them to come up with proposals by showing interest but also commitment to the topic and by actively supporting those who have an idea. Management support of SI projects is extremely important and can happen in several ways, levels and forms: time, financial support, advice, network and room for risks. Generally having an open and positive attitude towards Social Intrapreneurs can influence and trigger change. What are the benefits for UBS to support Social Intrapreneurs? Social Intrapreneurship will be a powerful tool for the future of UBS and the future of work in general. There are many aspects which can be of benefit for UBS in supporting Social Intrapreneurs: motivated employees, an energetic environment which fosters lateral thinking and creativity; but most importantly, Social Intrapreneurs projects themselves are the main benefit to the bank thanks to the value they bring to UBS both in monetary and practical terms. We met many people who baffled us with their commitment to the organization and desire to continue “moving the franchise forward”. Commitment deserves recognition and “going the extra mile” needs to be rewarded, not viewed at with suspicion. Would you be interested in supporting Social Intrapreneurs or Intrapreneurs in your own company? Get in touch with Johanna. Johanna is an enthusiast entrepreneur and change agent. In the past 3 years, she has helped Impact Hub’s partners to transform their cultures towards more inclusive, innovative and self-managed work environments. Right now she focuses on building a new venture which helps companies to recruit more women into leadership positions. Stay tuned.